Our association is quickly becoming the MOST sought after Krav Maga Association in the world. We are free of politics and teach the MOST AUTHENTIC KRAV MAGA techniques as taught by the Israeli Defense Forces. 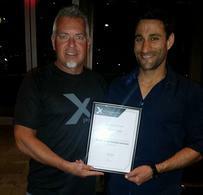 Itay Danenberg, the Head Instructor in the IDF….it gets no better than this!!!! Our Association Chief Instructor Marty Cale has trained under the Chief Commanders and Head Instructors of the Israeli Defense Forces as well as the top security, and Counter-Terrorism Instructors for the past several years. 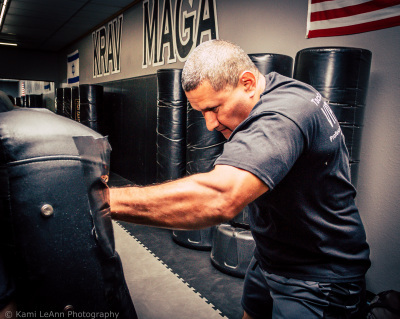 The Chief Commander of the IDF for Krav Maga is in charge of ALL hand to hand combat taught within the entire Israeli Military, including the elite forces, Israeli Police and Special Forces Instructors. Our program is simple, devastatingly effective and modern. It incorporates the most advanced and proven training and fighting methods, developed and battle tested in the IDF. We believe that training in Krav Maga will make you fitter, tougher and prepared to fight in all situations. KMA will provide Instructor Certification courses taught by our elite instructor team headed by Marty Cale. KMA will provide its instructors with the opportunity to train in instruction and prepare them for advancement in the Krav Maga system by running official training events and instructor updates. These events are taught exclusively by our elite instructor team headed by Chief Instructor Marty Cale. KMA will conduct specialist instructor courses certifying Military, Law Enforcement, VIP Protection, Counter-Terrorism and Israeli Combat Shooting instructors. These courses will be conducted by our elite instructor team with first hand knowledge from our elite training in Israel. KMA will provide instructors with the most advanced training programs, methods and curriculum. This training program is continuously developed by our elite instructor team with unrivaled experience making it even more devastatingly effective, practical, and powerful. KMA acts as a governing body and maintains the interests and reputation of the organization, affiliated instructors and schools. We train, support and oversee KMA instructors to ensure that they are the best in the business. 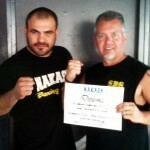 KMA is the source of knowledge on the forefront of Krav Maga and fighting. We channel knowledge and experience from the IDF instructors. We present this knowledge to KMA instructors through regular training events, curriculum updates and instructor training videos. KMA affiliates may use the KMA logo and name for the purpose of promoting their business. KMA affiliates receive a marketing pack which is constantly updated with videos, templates, logos and more. The use of KMA materials is restricted to KMA affiliates ONLY. This is our OFFICIAL LOGO, this has been our Trade Mark for 18 years. ONLY official Krav Maga Association Schools are authorized to use the Trade Marked logo. Logo and Slogan owned by Marty Cale. Be a certified, Krav Maga Instructor so that you can start teaching the world’s most effective self defense program! There is a huge demand from civilians, both men and women alike, wishing to learn self defense to protect themselves, their loved ones and people around them. All candidates must be 18 years of age or older to be considered for Instructor certification. Contact Marty Cale NOW and enjoy the benefits of the Best Krav Maga organization in the United States. Professor Marty Cale started training in Krav Maga in 1999. In 2001 Professor Marty Cale and his school, Arkansas Martial Arts, was certified by Krav Maga Instructor Rhon Mizrachi to teach Krav Maga. Marty Cale has since, traveled to Israel numerous times and trained in the Israeli Combat System of Krav Maga with Former Chief Commander Ran Nakash, former Head Instructor Itay Danenberg and the current Chief Commander of the Israeli Defense Forces for Krav Maga, Danny Netzer. 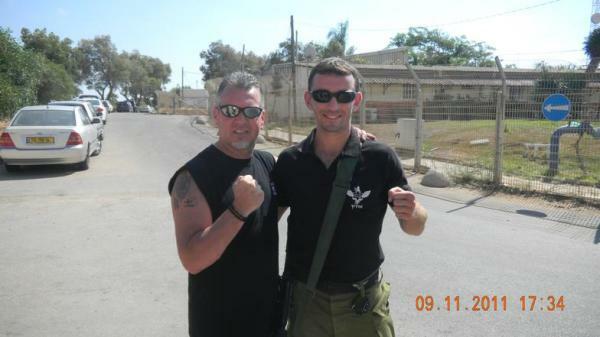 Mr. Cale is one of only very few people fortunate enough to train at the IDF Military Training Base. Being a High Level Advanced Instructor in Krav Maga, Mr. Cale has also trained with the Head Instructor Itay Danenberg and Chief Commander Danny Netzer at the National Security Training Academy for Court and Parliment Security Officers, training extensively in Advanced Krav Maga, VIP Protection, Security, Law Enforcement and Counter -Terrorism as taught to Special Forces Military Units, Security and Elite Law Enforcement officers. Professor Cale has received two different Diplomas from Ran Nakash, Danny Netzer and Itay Danenberg, making him one of only two Americans to receive such Diplomas at the time. Marty Cale has been training in Israeli Combat Shooting techniques and Krav Maga since 1999. In July of 2013, Professor Marty Cale hosted Nakash, Netzer and Dannenberg in the US where they helped him teach a Defensive Tactics Course for Law Enforcement in Phoenix AZ, where he was presented a 3rd Diploma/Certificate in front of 300 people. 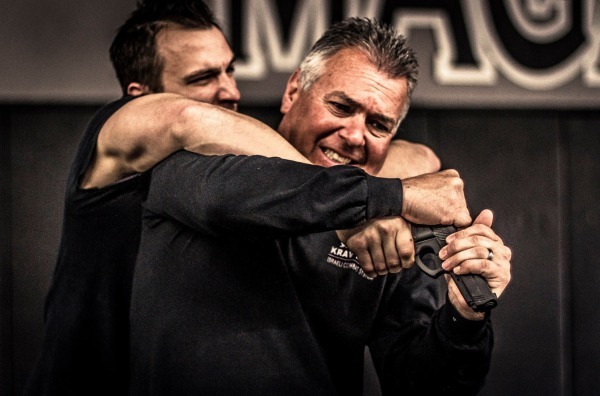 Professor Cale wrote the "Official Training Manual" for Krav Maga Tactical Training Options, a Defensive Tactics Program that has been approved in the U.S by most States and Government enties for Law Enforcement standards. Marty's experience and methods of teaching cutting edge tactics takes his courses to a level rarely seen. 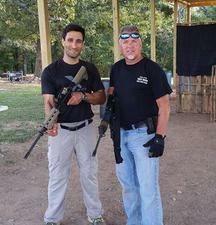 His teaching abilities will impress even the most highly skilled as he has taught Military, Law Enforcement, Security Guards, Federal Agents and others Hand to Hand Combat and Firearm Instructors. Professor Marty Cale has been training and studying the martial arts for 4 decades. He holds numerous Black Belts in various arts including a 10th Degree Black Belt in Kenpo Karate and a 7th Degree Black Belt in Combative JuJitsu. He has been a Certified Instructor in JKD (Bruce Lee’s Art) since 1995 and recently receiving a second Instructor Certification from Grandmaster Richard Bustillo, one of Bruce Lee’s original students. Mr. Cale has been certified as a Defensive Tactics Instructor for Law Enforcement by 3 different organizations. Professor Marty Cale is President and Chief Director /Instructor of the Krav Maga Association and is in charge of setting up Krav Maga schools as well as Instructor Seminars for Civilians and Law Enforcement around the world. He along with his wife Jenny own and operate Krav Maga Headquarters in Fayetteville Arkansas where they teach Krav Maga. Marty is dedicated to providing the highest quality professional training available whether for students, potiental Instructors, Instructors, law enforcement agencies or private citizens, large seminars or private lessons, basic or advanced, with an emphasis on friendly hands-on instruction that is simple, effective, affordable, reality-based, motivating, empowering, and most importantly, FUN! 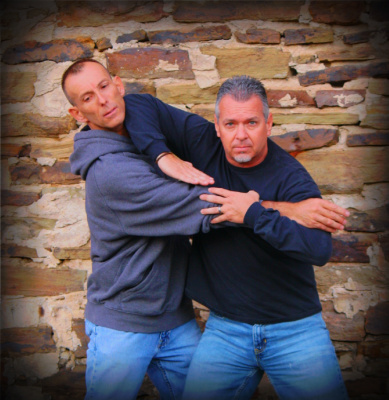 The history of Krav Maga is as exciting as the system it self. The founder of Krav Maga was Imi Sde-Or. The history is closely linked to the development of the state of Israel and the need for the Israeli military to protect is country in one of the worlds most hostile areas. Given Imi`s extensive self defense skills, Imi was recruited by Isaac Sadeh, the commanding officer of the Haganah in 1942. Two years later he began to teach Kapap (hand to hand combat) and physical exercise to the most elite special forces units of the Haganah, Palmach, and Palyam. During this period, firearms were outlawed and in very scarce supply. They were hidden away from the British and only used for special missions. The fact that firearms could not be used had a great influence on the development of the style. Unarmed combat was absolutely essential for the success of the military. In 1948, when the State of Israel was founded and the IDF was formed, Imi became Chief Instructor for Physical Fitness and Krav Maga at the IDF School of Combat Fitness. He served in the IDF for about 20 years, during which time he developed and refined his unique method for self-defense and hand-to-hand combat. It was his job to see to it that the troops of the IDF including the special forces units were expertly skilled in hand to hand combat. During this time, Imi further refined his face to face fighting techniques (now referred to as Krav Maga). Upon retiring from the IDF in the early 60`s, Imi began adapting the style for civilian use. He established two schools, one in Netanya and one in Tel Aviv. The work in the following years and up to today, was to design the system to confront every day attacks and street confrontation problems. 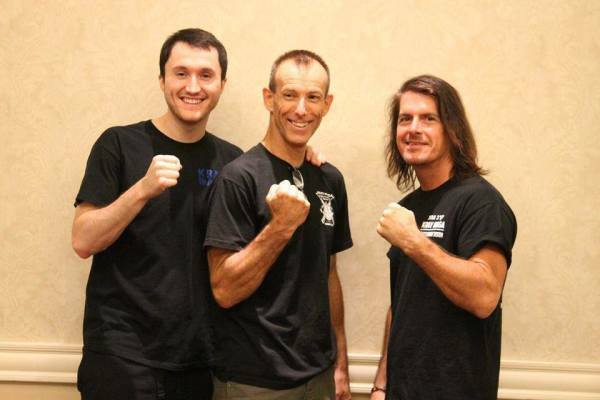 Imi and his senior students set about designing Krav Maga as a complete system. New problems was discovered and Imi set about finding a solution to them, with the help of his senior instructors. The core of the system has always been simplicity and effectiveness, and Imi was always looking for the easy solution to most problems. Many changes was made to the system both technically and visual, but in all the work that was done Imi never forgot the base of the system, simplicity, effectiveness and realism. One interesting result of this was Krav Maga`s use of belts. In the early system Imi did not use belts in training, because it was a military system. But seeking recognition from his fellow martial artists he designed a belt system based on the Judo system of white-yellow-orange-green-blue-brown-black. The system was divided into grades making it easier to organize. He also started training in gi`s (white judo training suits). In the 90`s however Imi decided that belts no longer should be a part of the system as it originally did not have a place there and that the use of belts did not have any realistic or practical meaning in the system. The system of grades was kept, but the belts was taken out and replaced with a system of Practitioner/Graduate/Expert levels. The training suits today also consist of black pants and t-shirts. Some countries still uses the belts in the curriculum, but not in training. Imi and his senior instructors formed the first Krav Maga Association in 1978, and in 1992 Imi expressed a desire to make an international federation to help spread his system to the world. In 1995 his dream came true and the International Krav Maga Federation was formed in Netanya, Imi’s home place. To the present day the style has grown greatly with associations and affiliations in Israel, the United States, France, Sweden, Finland, Norway, Great Britain, Brazil, Thailand and throughout the world. It is used on a day to day basis by the IDF including the special forces units and the Israeli police and security branches, and by many other elite units in North America, South America, Europe, and around the world. The style has also become, as Imi sought to make it, a major source of civilian self defense instruction. 4010 William D. Tate Ave.